Michael Delrahim is our latest Featured Speaker! Our newest Featured Speaker is Michael Delrahim from Brown, Udell, Pomerantz & Delrahim, Ltd! Michael will be speaking at our Introduction to Commercial Real Estate Seminar in Chicago on September 14, 2018. He previously spoke for us at our Marijuana Law seminar held in Chicago in 2017. Seminar attendees appreciated Michael’s practical and well-informed presentation. Michael J. Delrahim is the Managing Partner of the law firm of Brown, Udell, Pomerantz & Delrahim Ltd. He has an expansive practice counseling institutions, opportunity funds, sponsors and investment managers with respect to partnerships, debt and equity placement, and real estate and leasing transactions. 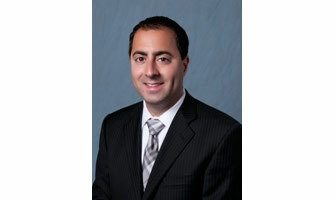 He also serves in-house as counsel to nationally operating real estate companies. Complementing his transactional practice, as a member of the federal trial bar, he brings a unique perspective to representing clients in real estate acquisition, development and management, debt and equity source documentation, troubled asset workouts, and partnerships. Michael’s representation of managers, sponsors, partners and lenders is comprehensive. Michael is a member of the Chicago Advisory Board of BBVA Compass. In recognition of his accomplishments, Michael was inducted as a Fellow into the American College of Mortgage Attorneys (ACMA) and is a member of their Diversity Committee. He is the founder of the Chicago Real Estate Professionals, a monthly networking group that brings together nearly 1000 of the most seasoned real estate professionals to attend a facilitated panel discussion on thought-provoking topics of interest to real estate professionals. An adjunct professor of law at Chicago-Kent College of Law – IIT, he teaches Real Estate Fundamentals and Syndication and lectures extensively before business and legal forums on real estate and related topics. He is a frequent lecturer, writer and commentator on real estate topics for the local and National media. He is licensed to practice in Illinois and the District of Columbia. He earned a Juris Doctorate degree from Chicago-Kent College of Law – IIT and a Bachelor of Science degree in Political Science from the University of Wisconsin – Madison.